Fish Safe’s Safety Advisors are experienced commercial fishermen who have received specialized safety training. They are the heart and soul of the Safest Catch Program. Learn a bit more about each of them here. Started with Fish Safe as a Stability Facilitator in 2005 and has worked as an Advisor since 2007. Bob is a 2nd generation Norwegian fisherman who began fishing in 1978. Over the years Bob has fished numerous gear types, owned 3 longline/troll vessels, and been a part of many fishing associations. Started as a Fish Safe Advisor in 2009. Cheri has trolled and longlined since 2004. Over the years she has worked on the Majestic Belle II, Ocean Quest and Windrift II. Started as a Fish Safe Advisor in 2014. Cheryl is a 3rd generation fisherman and has fished since she was 15. She has trolled, gillnetted, longlined, packed sea urchins and seined over the years. Cheryl has been fishing with the Pacific Discovery for the last 8 years as a beachman and cook. Started as a Fish Safe Advisor in 2011. Harold is a 3rd generation Norwegian/Scottish fisherman that has been fishing for over 45 years. Harold bought his first gillnetter, Quetzacoatl, at 15 and is still gillnetting on the Prime Time III. Over the years, Harold has seined herring/salmon, long-lined halibut, trawled for shrimp, trap fished prawns, trolled salmon and packed herring. Started as a Stability Facilitator and Fish Safe Advisor in 2008. Paul started gillnetting in 1975 and followed that with trolling and seining on his own boats. He has also been both a deckhand and a skipper in various longline fisheries. 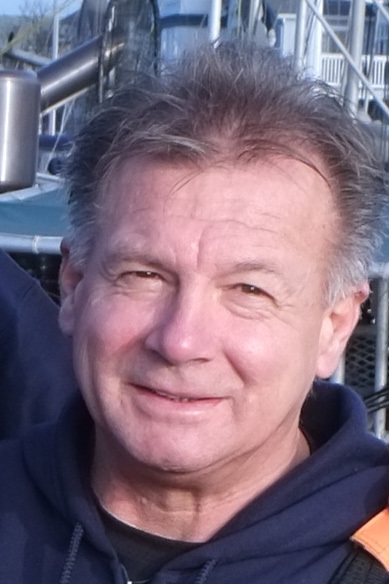 Since 1996, Paul has been fishing prawns, and has more recently jumped into the tuna fishery as well. Ralph is a 4th generation fisherman (maybe more). He started going on boats when he was 6 and has been running seine boats since 1980. He has fished salmon, prawn, herring and halibut in BC. Ralph has also fished herring in Alaska, crab in Washington, tuna in Panama, and pilchard in Guatemala. Trung's family fished in Vietnam before entering the industry in BC. Trung followed in their footsteps and has been crabbing since 2004. In 2011, Trung got into gillnetting. Trung came on board with Fish Safe BC after completing the Safest Catch Program on his gillnetter, F/V Pacific Dancer.